ATLANTA – The Atlanta Braves, Publix Super Markets, WellStar Health System and the American Cancer Society’s Making Strides Against Breast Cancer will team up for the sixth annual Braves Breast Cancer Awareness Day on Sunday, September 16. The day-long celebration of survivorship, held at Turner Field, honors those who have courageously battled breast cancer, and raised awareness and funds to support research, education and advocacy for cancer patients and their families throughout metro Atlanta. Breast cancer survivors will receive a free ticket to watch the Braves take on the Washington Nationals during the 8:05 p.m. game. Friends and family can purchase additional tickets for $14 each. Breast cancer survivors should redeem their free ticket by filling out the Braves Breast Cancer Awareness Day form at www.braves.com/bcawareness. In addition, the Braves will present recipients with the 2012 Diamond of Hope Award honoring caregivers who have made an impact in the lives of breast cancer survivors. For additional information or to purchase tickets, please visit www.braves.com/bcawareness. The Atlanta Braves have earned 16 division championships, five National League pennants, a World Series title and most recently were the 2010 National League Wild Card Champions. Based in Atlanta since 1966, the Braves franchise is the longest continuously operating franchise in Major League Baseball. Atlanta Braves games are telecast on FS South, SportSouth, and Peachtree TV. Radio broadcasts can be heard in Atlanta on 680 the Fan, Rock 100 FM, 93.7 FM and regionally on the Atlanta Braves Radio Network. Follow the Braves at braves.com,facebook.com/braves and twitter.com/braves. *This post is a press release, however on a personal note, I personally know two people who are very dear to my heart currently fighting the breast cancer battle. 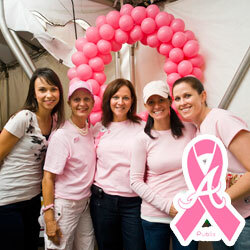 As women and mothers I hope we will all consider supporting breast cancer awareness and research in one way or another. It’s a fight no woman should have to endure.